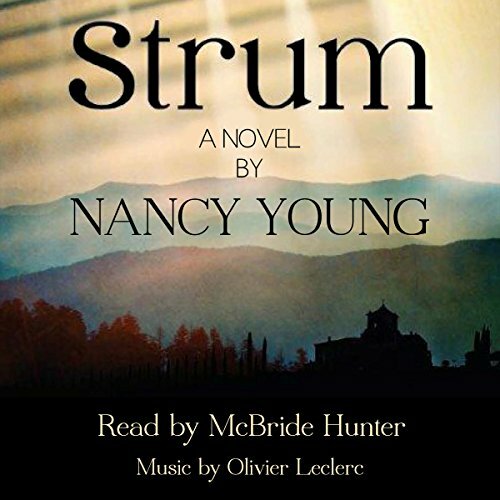 Showing results by narrator "McBride Hunter"
Strum is an epic tale that crosses geography, time, and cultures. In 1950s Quebec, a deaf woodworker, Bernard Tenderfield, is drawn deep into the woods when he hears a lulling melody in his dreams. The forest gives him an unexpected gift - an ancient cedar falls at his feet, and he nearly loses his life salvaging part of the fallen tree to build two magical guitars. From there, the story moves back and forth, tracing Bernard's European and Iroquois bloodline through time.